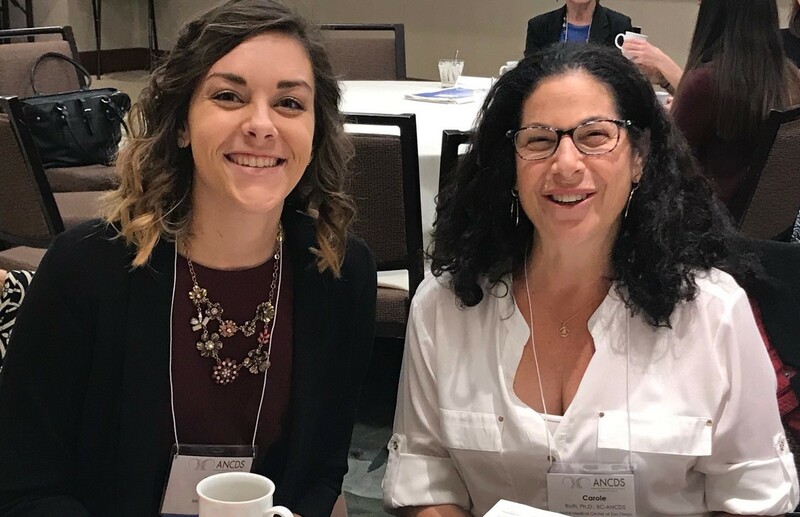 I was interested in getting involved more in-depth with neurologic communication disorders, the research being done in this area of speech-language pathology, and connecting with other individuals in our field who have similar interests. The entire experience was fantastic! It was wonderful to meet so many knowledgeable and established individuals within the field. I really enjoyed being able to talk with my ANCDS mentor about her work in the field, her path to where she is now, and getting advice on my future career. Being able to meet other student fellows and connect with them was also a great experience. It was fantastic to talk with students who have similar aspirations in the field and make connections with them. Describe your current or recent research project. The recent research project I was a part of looked at how college students with traumatic brain injuries perceived their academic success. A survey and standardized testing were completed to look at participant demographics, overall health, academic performance, and use of services and resources. This information was used to see if these areas were interrelated when students with traumatic brain injuries return to study. Why were you interested in the above project? My interest in this project and neurogenic communication disorders in general is credited to my years of being a student-athlete all the way through college. I have witnessed the effects of a mild concussion to a severe traumatic brain injury in teammates and other student-athletes. I’ve seen how these lasting effects impact an individual’s ability to function appropriately and actively participate in his or her environment. This project gave me a platform to begin diving deeper into the effects traumatic brain injuries have on many different populations.